With the Monsoon season at its end in late September, it is time to prepare your Arizona landscape for the cooler weather to come.The soil is still warm right after the Monsoon ends.This, combined with lower temperatures allows plants to become established before it gets really cold in late November. This is the time to plan and plant. 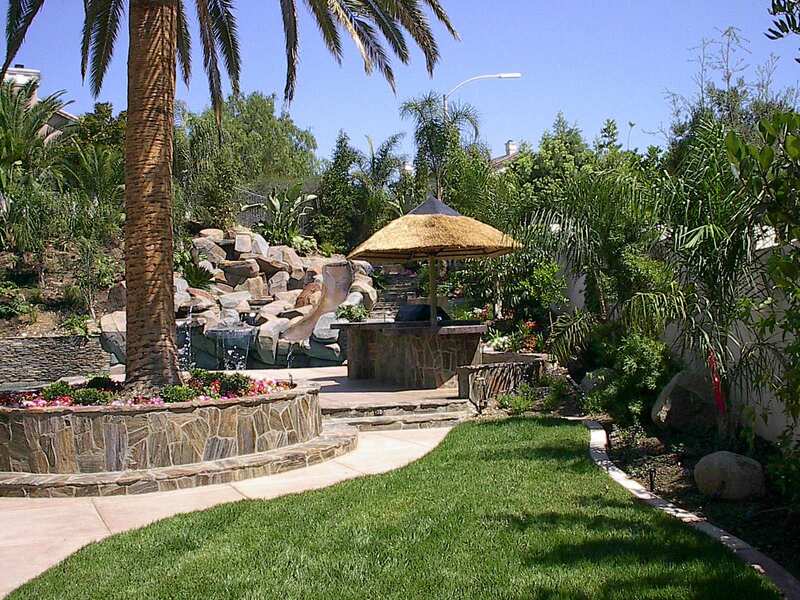 Walk around your front and back yard and assess your landscape. Look for dead or over grown vegetation and trees and shrubs that may have been damaged by summer’s heat or the heavy winds and rains of Monsoon Season. Clear out any debris you find and plan your Fall Landscape. It helps to sketch it out taking into consideration areas of sunlight and shade as well as size of various mature plants. Now is a good time to plant a vegetable garden. In late September and early October you can plant cool season vegetable seeds such as broccoli, beets, peas and carrots as well as vegetable transplants and herbs such as lavender and rosemary, as long as the temperatures are closer to 100 degrees. To avoid loss due to a hot spell during this time, stagger the planting of seeds and transplants. You will need to turn your soil to at least a depth of one foot. Once the soil is turned, add in about 3 to 6 inches of compost evenly throughout and add fertilizer. Your fertilizer should contain nitrogen and phosphates with a ratio of 16-20-0. Follow the directions on the label for mixing and rake it through smoothing out the soil. Be sure to keep watering! The AZ heat lasts through September and into October. Do not cut back on watering your plants until the temps begin to show signs of dipping below 100 degrees and the nights begin to cool a little. With the exit of the Monsoon season, mornings will be cool making it the perfect time to get out and garden.